It is the best room and guest house we stayed in ever especially for honeymooners. I (with my wife also) strongly recommend to stay here. Thank you Wayne. Un lloc amb unes vistes impresionants (les ones mes grans que mai em vist) Moltisimes gracies per la rostra hospitalitat i per conseguir que despres de 3 dies a Aurafrica sopessim a in lloc encantador!!!! Thanks for a spectacular introduction to Knysna! All five of us were delighted and impressed by the house, the views, the relaxation & the food. But you and the staff are the best off all!! All the best for 2009. Your house is not like a normal hotel – it feels like home from the first moment! The location is just another plus. The most amazing place! Not just the decor but the cool people. Take care will def be back. Thank you for hosting a wonderful 1st night of what suspect will be a very memorable holiday. Suite is superb and view is stunning. We enjoyed the great comfort and the warm hospitality very much. Thanks lot! Thank you for making our honeymoon such a memorable experience. We will definitely be back! Lovely place, marvelous views Pity to stay here only one night. I hope we will be back soon, Greetings. Thanks again for a fabulous time! The stay was so refreshing. Thanks for the hospitality and we hope to see you again soon! Guys – you are simply the best – thank you for allowing us to share your little slice of heaven. We plan on returning! What an amazing place. We’ve had a wonderful time and hope to come back one day! Thank you for such great hospitality. Thanks for a great stay in your lovely property. Situation great, pets great, company great, would easily recommend! What is there to stay? L-E-G-E-N-D-A-R-Y! Thank you so much. Thanks for a great experience we had at the Alexander – wonderful nature, great place + people … We’ll be back soon! Wonderful stay – looked after beautifully. Looking forward to coming back. We are so sad to leave! This place is great, the most beautiful we have seen in South Africa. Hope to come back … Thanks for everything. We would like to say a big thank you to all staff for making our stay so fantastic. A wonderful place in a wonderful setting. Thank you for your kind reception in Knysna! Your place is absolutely GREAT! Till next time!!! We had a fabulous time and truly enjoyed our stay at the gorgeous Alexander! We are already planning our next trip back. Special thanks to Raeleen and Cedric for impeccable service and brilliant hospitality. Beautiful location, extremely friendly staff. I had an amazing time Thank You!! I can’t wait to plan a return trip. Superb Luxury, great service and wonderful decor with views to die for. Dinner was great – best meal so far in South Africa. Very warm & friendly hospitality, wonderful atmosphere and ambiance. Absolutely beautiful, and amazing staff. I would recommend anyone to enjoy the describable views and beauty. Fantastic and beautiful place, house and views. The staff are absolutely hospitality. I love it. A very good experience what hospitality! The Alexanders are wonderful people. We will be back! And the decorations is wonderful, and the view is beautiful see you in the near future. I had a wonderful stay @ Alexander – the hotel is tasteful and well run place where one feels at home. And the area is magnificent as well. I am looking forward to coming back. Absolutely amazing palce, we had a wonderful time and will certainly be back. PS Thank you for making us feel so at home! What a beautiful house and wonderful hospitality!! we had such a great time and enjoyed being here immensely. Jessica + Jasmine are great to play with, we’ll not forget the amazing view!! Thanks for everything! What a superb find here on the Garden Route! The discreet level of polished service is far beyond what we expected – and we loved privacy of Pilot’s View Penthouse. Do we have to leave?! Thank you to Rae, Cedric, Martha and the rest of the staff. What a slump, LOL! It doesn’t get better than this! Big rooms, top design, superb views, exquisite food, gorgeous host! This is hospitality taken to perfection! I might just move in and make it my peno’ence!! Our only regret was we didn’t book longer! Beautiful room, amazing hospitality and love our new friends Jasmine & Jessica! Wonderful in every sense – a very special place with very personal service. We really do hope to be back soon. We just loved everything in this great house.Bielen Danke for fing tage der extralelasse! What a terrific experience – warm hospitality, fantastic room, views etc – you spoilt us – Thank you & take care of your two lovely dogs. Thank you again. Perfect location, fantastic place, superb hospitality … all in all a great experience! We’ll be back for sure! Thanks to everyone for making these 4 days so superb!! What a wonderful start to our honeymoon. You have spoilt us and made us feel so special. Hope to see you all again. We go along with everything that’s been said so far, it’s true you are doing everything right!! We’ve loved every bit, perfection!! Many thanks. We had a lovely stay here. The room, location, people & food have been wonderful. Fantastic hospitality – hope to return. Thank you for the beautiful reception. You have a wonderful location and great staff. We hope to return at some point. Thank you very much for everything. It’s been wonderful. We come back to enjoy this great place with sunshine. All the best! We hebben alleen meer complimenten ouer elit veer speervolle guesthouse! Een fantastische gastvrou, En wat een mooi uitsicht. Alles was eeht perfect!! Bedanlet! What a wonderful experience. The decor was absolutely superb! Total class, hospitality outstanding!! Thank you to the “Alexander Team” for such a friendly welcome during our honeymoon trip. ZA gives us a perfect welcome. We love it. Third time here! Will surely be back again. Our most favourite place in SA. Hospitality, service, quality Fabulous!! Baie Dankie weer eens!! Dit was regtig lekker, sien julle binnekort weer!! After a long drive from Hermanus, we were greeted marvelously and were so impressed by the beauty of the place and the quality of the service. Thank you! An unforgettable stay. Absolutely wonderful and fabulous, we loved this place, the warm hospitality …. We are looking forward for the next time – Thanks a lot!!! Words can not describe the wonderful setting and relaxation The Alexander House provides. Unfortunately only one night … next time there will be more! It’s all been said before but I’ll say it again – Magnificent setting, beautiful guest house and wonderful thoughtful staff. Thank you very much. Cheers! Alexander the GREAT!!!!!! Thank you for letting us feel at home. Love the view, love the room, love the everything!!! Wonderful – People, view, hospitality. Thanks for including us in your 1 year anniversary party we had a ball!! I think we died and went to heaven!!! What a magnificent setting and atmosphere!! Many thanks and wishes of success and happiness! we enjoyed every second! Honeymoon Night – we could not have hoped to spend our first night in a more spectacular guest house!!Everything!! Thank you so much! What a magnificent setting to celebrate anything. We loved the room, view, people and hospitality. Thanks so much for making our 9th Anniversary so special. We had a fantastic time at Alexanderhouse. The suite was superb, the few was superb – like in paradise! And the whales! Thank you to the friendly Raeleen and Wayne! Attention to detail – not only decor but care for guests – was superb. All staff looked after us exceedingly well. Thanks to all of you. Fabulous location, wonderful hospitality and superbly designed/ furnished suite. We could not have chosen better & hope to return soon. Unsurpassable!!! Thank you for a most enjoyable stay. Best bit was sitting on balcony having breakfast to the sound of the sea and trying to spy whales. We really enjoyed our stay here! The place, environment, the rooms, the people …etc. We want to come back!! Thanks for the hospitality!! Thanks for making a special celebration fantastic. This is to die for!! Such an elegant venue to watch the Sharks beating the Bulls!! Really super place, fantastic views, whales with breakfast!! We have been spoilt – thanks for the hospitality. What an amazing place. We feel we’ve been thoroughly spoilt! Fantastic room, fantastic views, fantastic people of course Jessica and Jasmine. Thank you for a fantastic stay! Absolutely incredible place and the room was unbelievable!! Thank you for inviting us into your family for the last 3 nights. We will be back!! Unbelievable! Thank you for a wonderful stay. The hospitality was just perfect we feel like we are at home, and the incredible view of course! WOW!! Fantastic! A wonderful place – we had such a good time! Thanks to Raeleen – she was exceptional, and Wayne we now know why you are so successful! Honeymoon suite stay of one night. A wonderful place – discovered by chance that surpassed expectations, which were high! Friendliness and welcoming hosts made us feel very welcome. Wish could’ve stayed longer! Should be 7 star! Thanks for a great stay!! We will certainly recommend to friends and will hopefully return back! The jewel of the trip! What a gem – superb setting, fantastic accommodation & great company. The Alexander has already been recommended to our friends! Cheers for a great stay! Exceptional accommodation & exceptional hosts. We thoroughly enjoyed our stay & will definitely return next time we are in SA. The excellent accom. + views are only surpassed by the generosity of the perfect hosts – Ray + Wayne and the jewel in there crown – Cedric. Given that mediocrity is a sin ….. you guys are heading for Heaven! Stayed in “Captain’s Suite” – I strongly doubt I will EVER have the pleasure of staying in a suite as beautiful as this!! Memories for life. Perfect. We’ll always remember the warm welcome after a 7 hour road trip. Thanks for everything – we’ll certainly be back. WOW … Amazing … Thank you it is a wonderful experience. A fabulous end to our engagement trip! The attention to detail & decor is wonderful, thank you for yor warm hospitality! Absolutely wonderful loved our stay, don’t really want to leave. The whales have made our mornings! Thank you so much, you are lovely. From our adventurous Australians all the way from Perth. We felt extremely welcomed from the moment we walked in. A feeling of serenity and joy stayed with us the entire time. Spectacular facility and views! Entre amigos Wayne y Raeleen hemos pasados unos dias inolvidables. Vuestra hospitalidad ha sido excelente Alrazd John y Doreen. Thank you for a wonderful week where you looked after us like family. What a find! Everything was wonderful. We truly enjoyed our stay. Thank you for a stunning and memorable time! It was excellent. Beautiful, peaceful, stunning!! Thanks for a wonderful experience. You will see us again!! Superb accommodation, views, food and hospitality! Everything and everyone were wonderful. The “key” to a relaxing stay. Excellent! Wonderful hosts – Thank you for a very special stay. Thanks for a wonderful weekend. We had a stunning time & relaxed a lot! Thanks for all the nice personal attention! We see you in Dec! Fantastic end to our South African honeymoon. Amazing hosts, stunning views and perfect accommodation all made this a trip that will be memorable forever. Excellent hospitality, relaxing and homely with quietly efficient service. Warm friendly ambiance effecting all guests. Beautiful setting, thank you from 2 overwhelmed Aussies. Superb house, superb comfort + surrounds – friendly warm service + very hospitable hosts all came together to give a sensational stay!! The views were added extras. Thanx for a stunning stay! Wonderful view, wonderful hosts, excellent rooms & amazing experience! Absolute top-notch! One of the best places we’ve ever been to. A beautiful place to relax and enjoy ourselves! The sea is wonderful with the view to the whales.. Thanks a lot. Excellent lodge, hospitality and warming environment. The name of the hotel “Alexander”, surely represents the excellency of ” Alexander the Great” according to ancient Greek mythology, due to people running it. Absolutely fantastic (and very relaxing) Thank you. Thank you for making us so welcome! Everything was superb – the location, view, decor, service and the hospitality and kindness shown by everybody. Thank you so much for a wonderful stay your attention to detail and incredible service was much appreciated. I have no doubt you will have great success in the future! Beautiful honeymoon suite. Thanks for a stunning stay. Amazing spot. Best of luck for the future. Thank you for a very special stay! The house and the room are stunning! We hope to return and repeat this special experience. A recommendation followed Luxury Experience! Thanks for making our honeymoon unforgettable. Married 08.08.08. This was a perfect start to wealth & prosperity in abundance! “The Alexander” seems like a place where wishes come true. A beautiful view, a warm atmosphere and great service, nice decorated room, good music it was a nice stay and we enjoyed a lot. A beautiful place! Fantastic attention to detail! Thank you guys for your warm, friendly hospitality! Our Suite was amazing! Gorgeous views and great service! 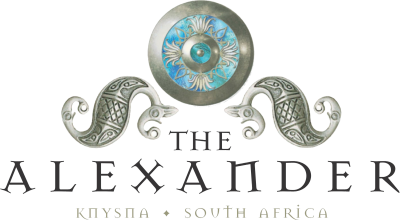 What a privilege for us that we found “The Alexander”. My eyes were a camera taking in the decor, view and beauty. We hope to return. A breath taking view, stunning location, beautiful decor and wonderful hospitality!! Thanks for a great tome we would love to come back soon. Excellent hospitality, the rooms are beautiful and the location fantastic. Great to see the whales too. Thank you for making us so welcome nothing was too much trouble. An amazing and exquisite experience, 2nd to none. Thank you for making our honeymoon a very special one that will be part of us forever. We enjoyed the warmth and luxury and look forward to visiting again!Six stars all the way …. Thank you for a wonderful stay! We had a super break and great time. This is an absolute superb location and we are looking forward to coming back next year! Thanks again for the excellent hospitality! Dankie vir n wonderlike tydjie. Dankie vir gasvryheid en vriendelike diens. Wow! Had a wonderful break- unsurpassed luxury at “The Alexander Guest House” “Home away from Home” Wonderful hosts! All the best. Thank you for a stunning tome! Wayne & Raeleen were great hosts! All the best for the future. Hierdie was die mees wonderlike plek om n wee te ontspan – ek kom terug weer!! Dankie! Wow – Great stay, great discovery! Will def be back ASAP! What an awesome place!! Had an amazing time. Will be back! Thanks for all. Awesome views, hospitality and luxurious comfort, whales with breakfast, very relaxed on departure, we will be back! Are we going home? This is Home! Thank you for the lovely stay, the “Home style Benedict” & the hospitality. We’ll be back for more!! Not newly weds, but really felt like that! What a experience staying here! Pilot’s View – Magnificent!! PS. cute dogs and very friendly staff + hosts! Wow the view was absolutely amazing, pure serenity. The suite was excellent, very relaxed atmosphere. Each and every member of staff was friendly. Well our first year anniversary was a memorable on at The Alexander. Many Thanks. This place brings together all the most beautiful elements of life in such an extraordinary way that one cannot help but stand quietly in awe of creation. We thoroughly enjoyed it & will be back. The reality of existence is in the present. We enjoyed every minute. Great host! A postcard of “The Alexander” brought us here + it certainly didn’t disappoint! Had a lovely stay + oysters + Champers on the upper deck at sunset was a great way to say goodbye! Wow!! The Alexander is not just “Luxury Suites” but a lovely home! We truly loved our stay here & are finding it very hard to leave … Thank you so much to the staff for their kindness & helpfulness. We will be back! We wish you all at The Alexander, the best in all your ventures. Stunning view from the terrace also excellent for late night cocktails! Thoroughly wonderful stay at The Alexander great staff and stunning location. Fabulous stay in the Penthouse Suite! Will be difficult to keep this fantastic place a secret. Thanks for making our stay so comfortable. We enjoyed our stay thoroughly. Thank you for all the effort, bookings and friendliness. We’ll definitely be back! We stayed in the Captain’s Suite – very opulent & absolutely gorgeous. The setting, service, everything was great. We will certainly recommend you to all our friends in Australia. Thank you. A perfect day for a perfect wedding & a perfect end to the best day of our lives. The ambiance was elegant, relaxing & heavenly. Thank you to Wayne and the team for making our evening the most memorable day of our lives. We will definitely be seeing you soon. With love & Thanks. Absolutely Fabulous! Highlight of our trip. The view is something we will keep in our minds 4ever. Wonderful, wonderful, wonderful!!! Thank you so much for the warm hospitality & the excellent service. It made us feel really special. We hope you go from strength to strength and will definitely add The Alexander to our “must go to” list. Thank you to The Alexander for such a lovely welcome for us newly weds! We have had a wonderful (but far too brief) stay and look forward to returning soon. The Alexander – a real great place to stay. We appreciated the architecture , the interior style and the hospitality. Many thanks. If the Garden Route wouldn’t be so long, we had stayed much longer. But you always can come back. We look forward to it and are going to recommend it to our friends. An absolutely stunning place that really made us feel special. We enjoyed every moment of our stay and will be back. Next time for longer. A superb 2 nights in an incredible home. Thank you for the great hospitality and tasty breakfasts. Relaxation at it’s best. This is becoming like a home for us. We can’t wait to come back and see you all. Perfect as always! Thank you for a great time we had at Alexander House. We enjoyed your hospitality, as well as the stunning views and the nicely decorated rooms. We were happy to see whales and dolphins. Hope to come back one day. Thank you for everything. Thank you for a fantastic time. Beautiful room, stunning views & excellent service. Thanks again! What a wonderful spot to rest a while. We really enjoyed our stay & the wonderful breakfasts and the view to die for. Thanks to everyone. Thanx for everything! We felt like the Captain of the ship! Best braai ever, like only South Africans know how! We had a lovely stay & a wonderful time! The dogs are legends! We will be back for a 2nd honeymoon. See you soon!!! It was a wonderful stop during our trip through SA. You were very friendly to us thanks 1 million. We have waited 34 years to experience the accommodation and luxury that you provide. Wonderful views, fantastic breakfasts, lovely people. A perfect end to our stay in South Africa. None of us wanted to leave and we would certainly like to return. Thanks to Wayne and all the staff who could not do enough for us. England will now seem rather dull. Thanks again. PS – dogs were great too! What a fantastic place to stay, we enjoyed every minute. Thank you. Beautiful place! Very nice people! What does a man want more? Thank you very much for hospitality! We had an amazing honeymoon, Thank you! Staff are excellent! We will be back. If only we were staying longer … 1 night just isn’t enough at The Alexander. Wish we’d have booked for longer ….. Stunning location, beautiful property, hope we can come back soon!! Thank you. Thank you for a wonderful experience. It was wonderful – like heaven. God Bless you. Thanks for a lovely stay with wonderful views & excellent service. A great place to relax & excellent recommendations & reservations for dinner last night. We had a lovely stay. Thank you for your great recommendation to Pembreys. Lovely views – rooms. Thank you for a wonderful stay – it definitely outweighed my expectations. Thank you for giving Andrew such a lovely b-day surprise. Would love to come back one day. This was a wonderful stay in your beautiful and lovely decorated house – we felt pampered like members of a Royal Family! All the best wishes to you – thank you so much. Thank you for the two memorable days spent at you exceptional house. Excellent service, we felt very welcomed and plan to coming back soon. Thank you for making our honeymoon so special! You have certainly thought of everything – a truly wonderful experience. Arrived straight from the overnight flight into Cape Town, long drive and the – Yes! The most comfortable bed we’ve ever slept in and woke up to wonderful views, great breakfast and fantastic service. So easy to relax here, the best start to our holiday. Thank you very much for your great and kind warm hospitality which made our stay unforgettable! The service, the ambiance, the location – everything was perfect! We’ll be back! PS: I loved the dogs! Stunning views, beautiful decor + hospitality fit for a king!! You have created something exceptional. Thank you for sharing it with us. A trip highlight on our journey from Cape Town to Addo’s. We enjoyed three wonderful days here and everybody pampered us most carefully! We will send all our friends! Beautiful place with exceptional attention to detail. Love the dogs! Thank you. Wonderful staff & service! Decorations beautiful (museum quality) We love Knysna and Alexander House Must come back! Thank you all very much for a wonderful time – Alexander. Having an amazing trip in SA. Thank you for the wonderful two days! We love the place here and can’t wait to come back! Thank you for the best service. We will be back, the best wishes for, Alexander. Even with some days of rain we enjoyed staying here with you guys!! You are the best hosts and know how to run a luxurious place. Be sure we will tell all our friends & families about Alexander ****** + * and the double shower in the Captain’s Room! A fantastic place with fantastic hosts. Decadent luxury with a “feel at home” environment. Thanks a lot! Thank you very much for your hospitality. This building and wonderful view – are of the best place of the world. Our best wishes and God Bless you. What a fantastic location and great hospitality – it’s been really fantastic – Thanks very much. We were very excited to see the place, when we saw the picture on the website, but when we came here and found it more than expected, not to mention the great hospitality! Thank you! Felt extremely pampered, from the very warm hosts to waking up by the fresh sea breeze. Wonderful luxurious stay. Thank you and hope to come back again! Our short stay with you has been amazing. Thank you for your superb hospitality. We will be back. Two great days of relaxation. The perfect place to get away from the city. Fantastic rooms and service! Will be back soon. Thank You. Really Fabulous! An unforgettable place and unique around the world. Shall definitely recommend you guys. Hope to be back soon. The welcome we received was only matched by the spectacular view from the house. The Captain’s Suite is so very comfortable and well thought out with every facility we could wish for. Our Thanks to all at “Alexander House” for looking after us so well. It has been a perfect stay, six nights has been too short, and we will most certainly be back. Thank you all. To thank you for an excellent stay in a superb place!! What a magnificent and relaxing stay. The suite, the view and the hospitality .. not to mention the great breakfast … were perfection. I am so sad to be leaving. We will be back soon! Thanks Wayne & Robin, you guys made us feel so relaxed & at home. Great Vibe!! Best of luck for the future! We had such a wonderful time here – everything is arranged with a lovely touch! And the guys live up to these standards. Thank you for the 6 star service! Hope to come back soon! Had an amazing time – most enjoyable time since being in SA!! Will be back. Now this is a warm welcome! Wonderful home and what an atmosphere. You have got it right on all fronts. Just like at home (except the view, the food, the pool, the decor and the breakfast disco) We’ll come back! Thanks 4 a great stay!! The Amber was brilliant, we will definitely be back, love your style. An out of this world experience!! We have found our “home away from home” and will definitely come back. Thank you for a great weekend. We are so glad we found this place, it has been amazing, so relaxing and loads of fun. The boys make us feel so at home. Would highly recommend to anyone. Wow! This is the most amazing accommodation in a sunning setting. Thanks boys, for making this a stay to remember for us – I feel we’ll be back. It beats skiing in Feb! Good luck with the new ventures. We had a great stay – everyone was very helpful & friendly & the accommodation is outstanding. Thank you very much. Thank you, it was a fab stay. Very relaxing! Will spread the word and rtn very soon. We have been made & feel so welcome – now planning our return..
Abs stunning!! Thank you for making our stay in Knysna fantastic!! Great House, great people, great decor!! Friendly, efficient service, has really made our holiday in South Africa a memorable experience. Thank you so much! Incredible room, setting, staff, EVERYTHING!! Astounding decor – well done Wayne, Robin & team, we have had such a memorable time… Cheers Guys! We just loved the accommodation, service, food, room … just everything! But most of all we enjoyed the warm welcome, Wayne, Robin & Ray! Thanks for our greatest experience of all time on holiday especially our honeymoon!! Back again for the 3rd time and will be back again very soon. Had a fantastic stay here really enjoyed it all. Many thanks for your hospitality. Most fantastic part of our holiday spent chilling out on our private deck enjoying the incredible views. Can’t wait till our return in 2009!! Best hosts ever! Une maison d’notes excephonnelle! Confort et service excephonnels… on ne vuet plus reparfir! Place: Alexander House Mission: Extreme fun & pleasure Status: Accomplished/ Thanks! We had a great time, beautiful place wonderful house, yummy breakfast. See you again! After having stayed here for 3 days now, we’ve kind of run out of positive words, because we’ve used them all up during the past days since there is nothing else you want to say except for “wonderful”, “fantastic”, “outstanding”, “Superb”….. all day long! Thanks to all of you making our stay so special and absolutely unforgettable to us in every way! We will definitely come back as soon as possible. See you guys soon. Thank you so much for this unforgettable and fabulous stay! You guys take care of your guests like no one else! We will be back very soon? Fantastic place – Can’t wait to come back!! Great place – Cocktails?! Thanks for a great stay we will see you again. Relaxation, fantastic, just what we needed – Thanks guys hope to see you again. Thnx Guys it was a great stay and will be back. Best of success for the future. A winning recipe in every way. Well Done!! Guys, The Alexander is just fantastic. You do everything with such style & panache. You’re up there with the best. We’re leaving with great reluctance but we know we’ve made two great friends & as you know we will be back. Congratulations on creating the best place we’ve ever stayed. P.S. love you both loads! – I mean the dogs! We enjoyed our stay in Alexander very much. Many thanks to the guys here. We will come back! Lots of fun had here – at the New Years Eve Party, and whale watching, and playing with the dogs. Thank you for looking after us so well in this beautiful house See you again! What can one say, the host and house were fantastic. I will e back time and time again after I’ve checked into rehab. Fantastic hospitality once again. Thanks Wayne, Robin and all the staff for making me feel so welcome. A great start to 2008!! See you again very soon! Thanks guys for an amazing experience. Wayne your immaculate taste and Ray your friendliness! You will soon see us again.